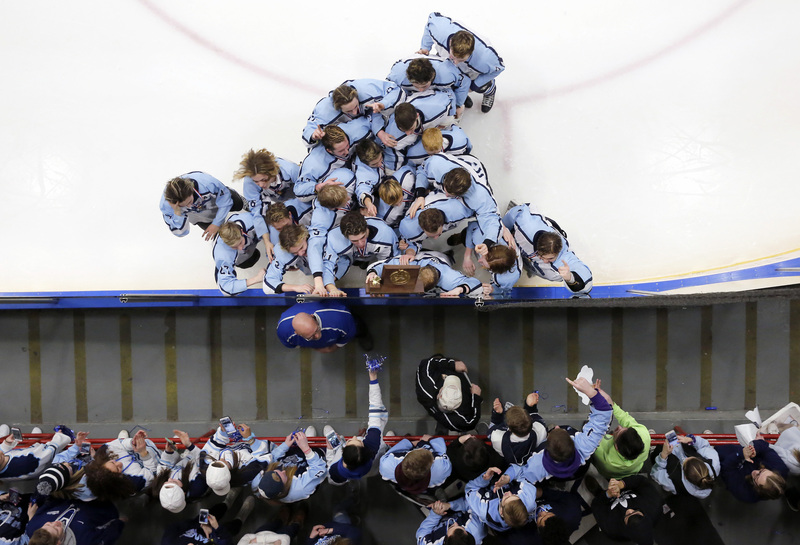 Teammates from Old Town/Orono show off their new Class B state championship plaque to the student section after beating Greely, 3-2, in overtime on Saturday in Lewiston. 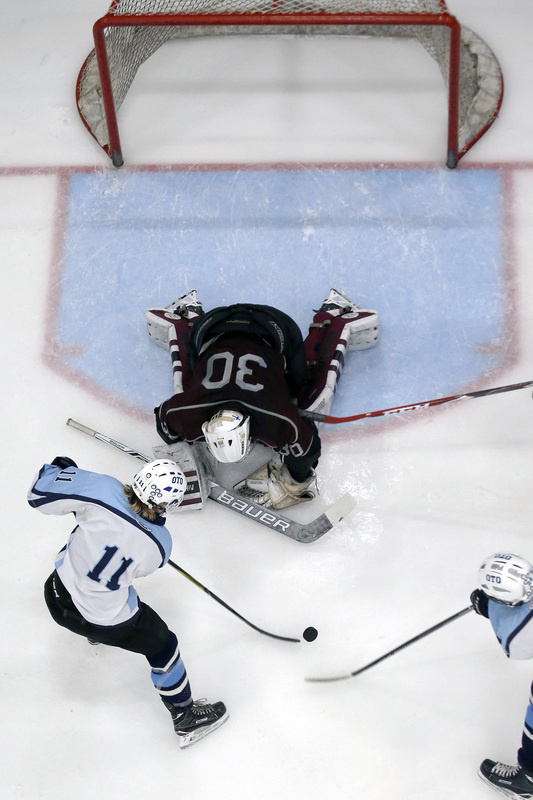 Greely goalie Karsten Bourgoine manages to save this point-blank shot from Old Town/Orono's Ben Allan-Rahill during the Class B state championship hockey game on Saturday in Lewiston. 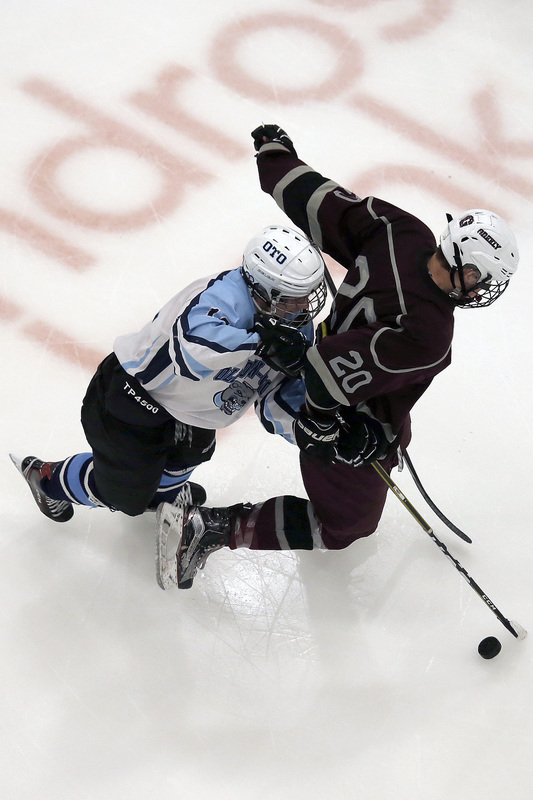 Old Town/Orono's Jacob Dubay trips up Greely's Matthew Kramlich during the Class B state championship hockey game on Saturday in Lewiston. 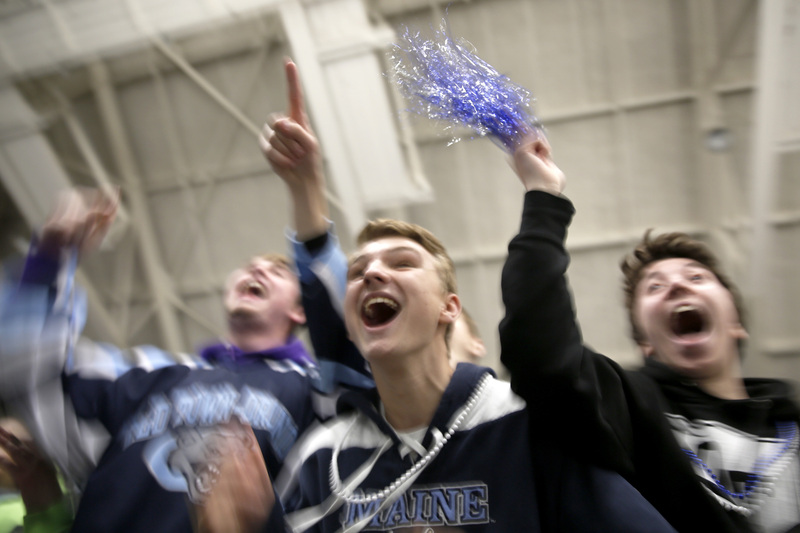 Chris Albert, center, a sophomore at Old Town High School, celebrates with classmates after Old Town/Orono beat Greely, 3-2, in overtime in the Class B state championship hockey game on Saturday in Lewiston. 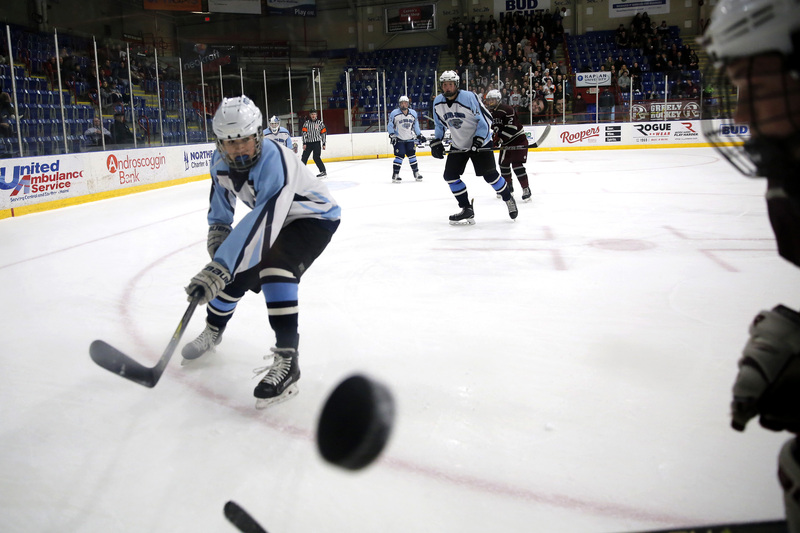 Old Town/Orono's Josh Wheeler flips the puck against the boards toward Greely's Quinn Molloy during the Class B state championship game on Saturday in Lewiston.